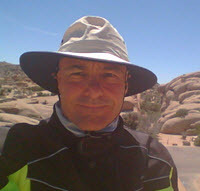 California Motorcycle Tours has several great tour guides on staff who love riding and sharing experiences with other riders. We know where to find the best roads and destinations in the mountains and deserts of California and the American Southwest, and we are eager to make your holiday/vacation a once-in-a-lifetime adventure. We are young at heart and adventurous individuals who love to ride and to take people riding. 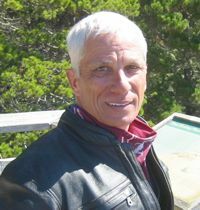 Fred started California Motorcycle Tours in 1999 as a way of sharing his enjoyment of the open road with riders from around the world. 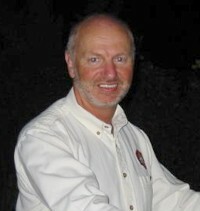 Fred designed most of the tours based on his years of exploring the back-roads of the American southwest. He hates freeways, and looks for twisty, secondary and tertiary roads. Fred loves to lead rides whenever possible. 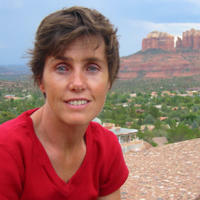 Corinne is co-owner of Califormia Motorcycle Tours. When she first rode behind Fred, she thought it was fun, but thought it would be more fun if she had her own bike and was in control. She hasn't looked back since. Corinne loves long rides — she would rather ride for a week than just ride to breakfast on Sunday mornings. She goes on tours whenever she can get away. John has been riding and touring for longer than he can remember. John is a Harley loyalist. As the old commercial goes, he liked the product so well that be bought (some of) the company. His shares of Harley have done well over the years. With a tour group, John is comfortable either in front leading or in back as tail-gunner. Vic is a retired Navy fighter pilot who has moved his need-for-speed to the street. He's actually a very competent and conservative rider but when he's riding as tail-gunner he can stay with anyone (old habits, we think). Tom loves all bikes and has owned or ridden a significant variety of sizes and brands over the years. He's comfortable on anything with two wheels. Tom has been the tail-gunner on each of our tours at one time or another, but still can't decide which one he likes best. 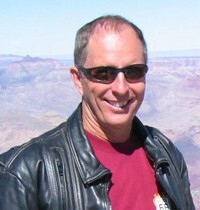 Larry has been riding with CMT for several years and has done each of the SoCal tours several times. If you're going to have a problem on the road, Larry's the guy you want as tail-gunner! His career in law enforcement has given him lots of interesting stories and a certain edginess, but he's really just a big lovable teddy bear - or so we think! We worked hard to create tours that we would want to take ourselves. We are constantly looking to design new routes and improve existing ones. We have made our tours fun for a variety of people from different parts of the world and count many of our clients as new friends with whom we maintain contact long after the tour has ended. Almost 50% of our guests come back for another trip and we are very proud of that. We admit that riding with like-minded guests is fun, but at the same time we take our responsibilities seriously. Your safety is our #1 priority — #2 is to do everything we can to insure that your vacation/holiday is thoroughly planned so all you have to do is ride and have fun. No stress, no worries! Each day's ride includes great secondary or tertiary roads, with destinations such as the Grand Canyon, Zion, Bryce, Sequoia and Yosemite National Parks, California gold country, Death Valley, Las Vegas, Hoover Dam, Venice Beach, Santa Barbara, and many more. 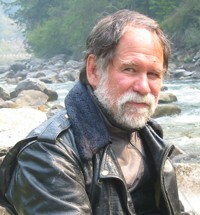 California Motorcycle Tours has a goal  to take riders and passengers on a tour that is the adventure of a lifetime.